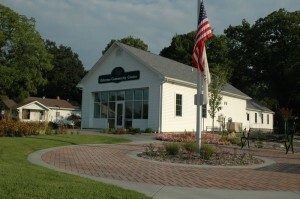 The Oshtemo Community Center, 6407 Parkview, comes to you as a historical fire station that has recently been renovated into two separate rooms available, for a small rental fee, to residents only. The rooms have a capacity of 40 & 60, include the use of a small refrigerator, sink, microwave, tables, chairs, and a shared foyer and restrooms. These beautifully renovated rooms are ideal for family get-togethers, baby showers, wedding showers, and many other occasions. They are available any time between 8:00 am and midnight. For more information, and to view dates and times available, please visit the Oshtemo Township website.